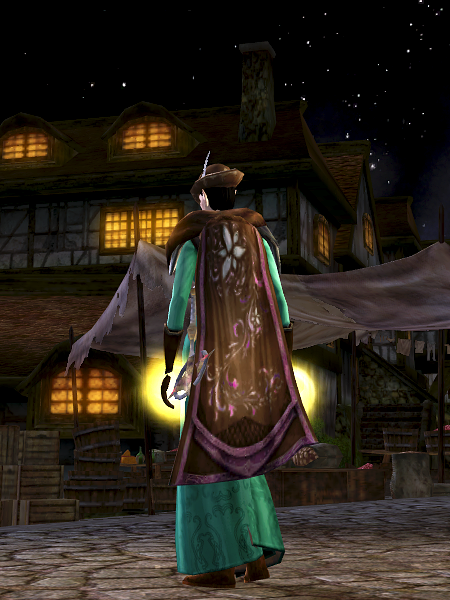 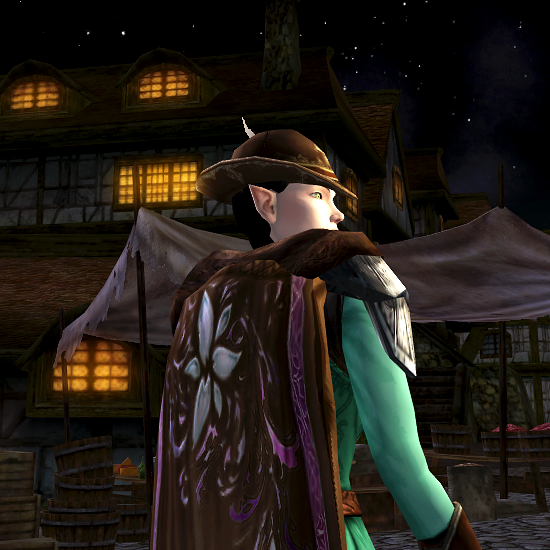 With new wardrobe space and an auction to see to, our minstrel Miraear donned the robes and mantle of a travelling noblewoman, all turquoise and rich brown, and paid a visit to the town of Bree. 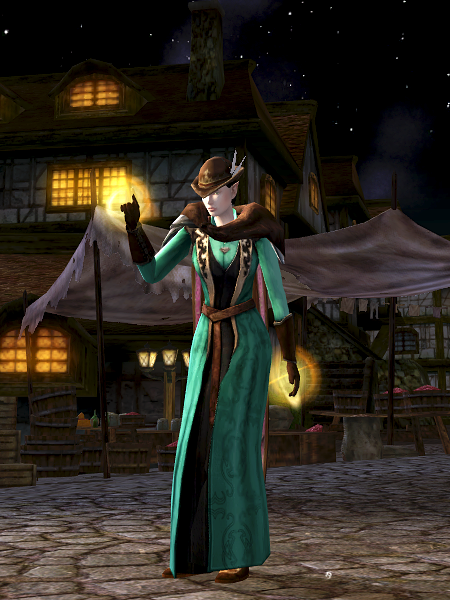 It shows up on the auction hall not too uncommonly, at least on Elendilmir – that’s how I got mine, actually, because I wanted the nice-person title and the fingerless gloves from the last Yule fest. 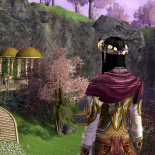 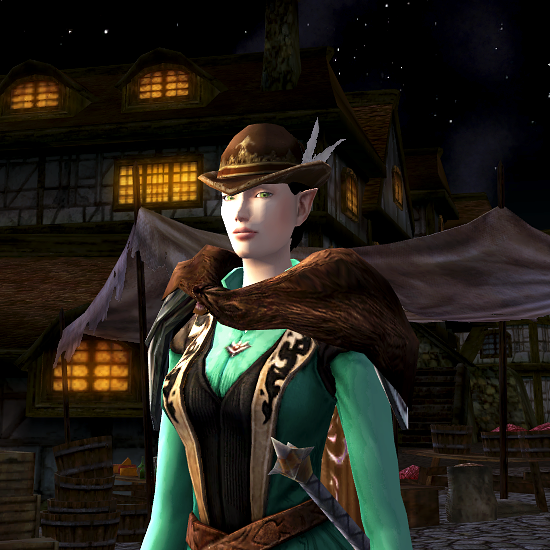 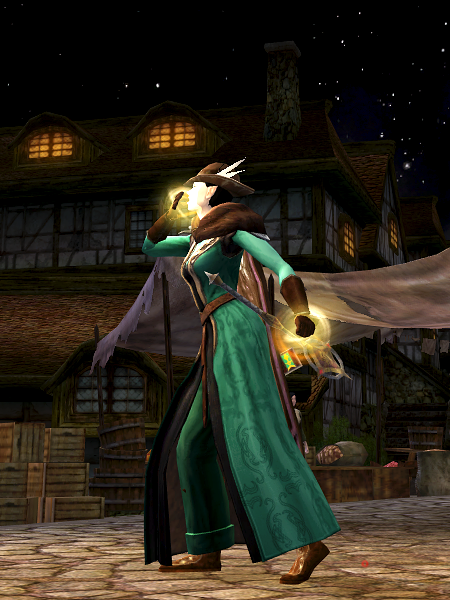 This entry was posted on 2014.07.12 by vyh in Outfits and tagged brown, cosmetics, green, lord of the rings online, lotro, minstrel, miraear, noble, outfits, turquoise, umber.